Ernest “Ernie” Cory has practiced law for more than 35 years with a focus on dangerous drugs, defective medical devices, products liability, mass torts and class actions. 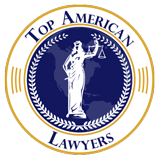 He has represented clients across the U.S. and in Asia, Africa, and Latin America. Ernie is nationally recognized for his ability to level the playing field against corporate America, and is frequently appointed as lead counsel and to other leadership positions in high-profile complex litigation, mass torts, and class actions.